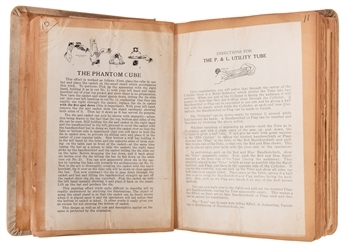 Lot Detail - Robert Byron’s Magic Instruction Scrapbook. Byron, Robert. 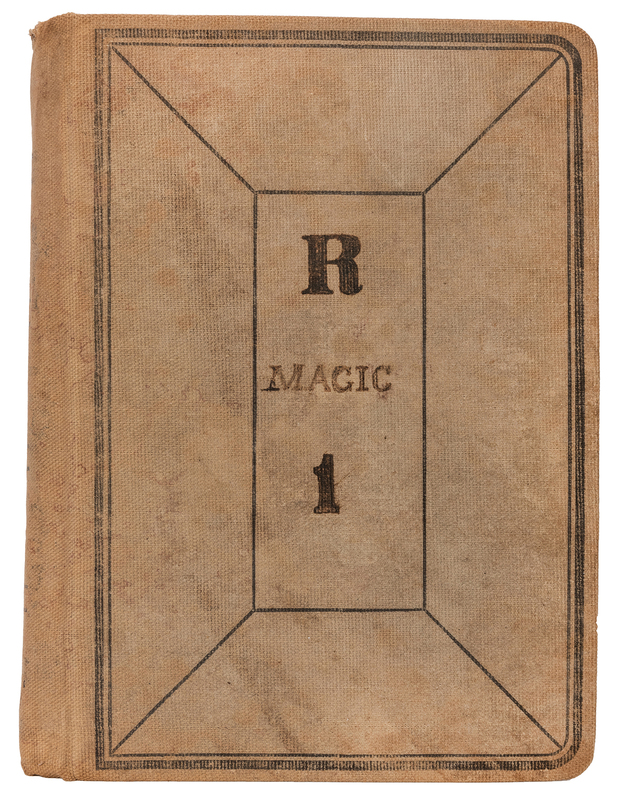 Robert Byron’s Magic Instruction Scrapbook. Circa 1928. Thick clothbound volume, approx. 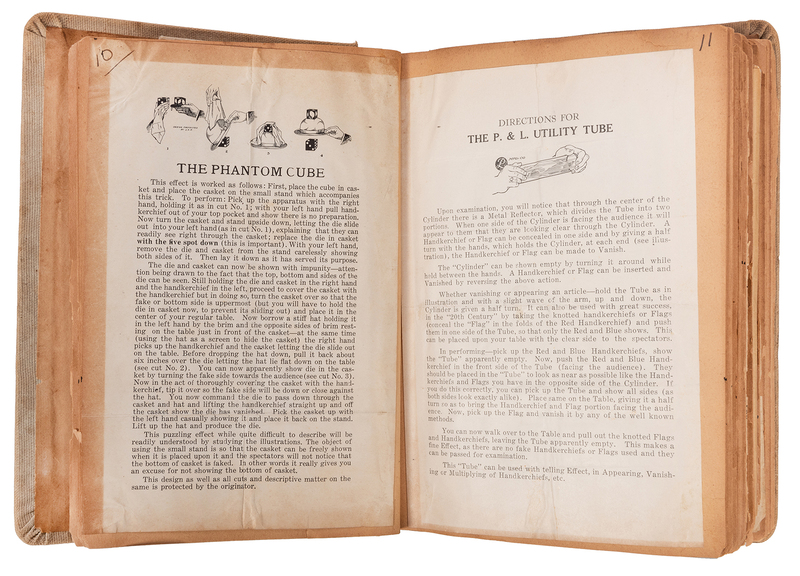 100 pages, tipped on to which are hundreds of vintage instructions for various magic tricks. 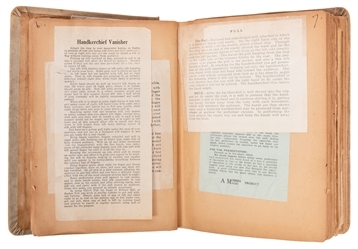 Instructions are printed, handwritten, and typewritten, and include those for the products of Brema, Ireland, Thayer, Abbott’s, Muddiman, Berg, and many more. A few booklets and thin props are also included, as well as correspondence explaining tricks from Ovette, P&L, and others. 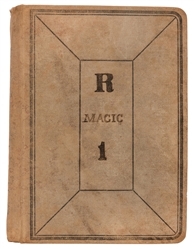 A small folder titled “Illusion List” is tipped in near the rear. 8vo. Disbound but intact, contents very good. 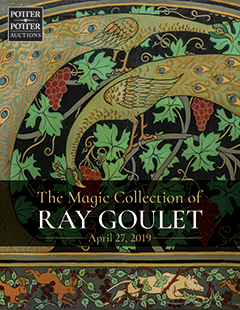 A unique and fascinating archive. 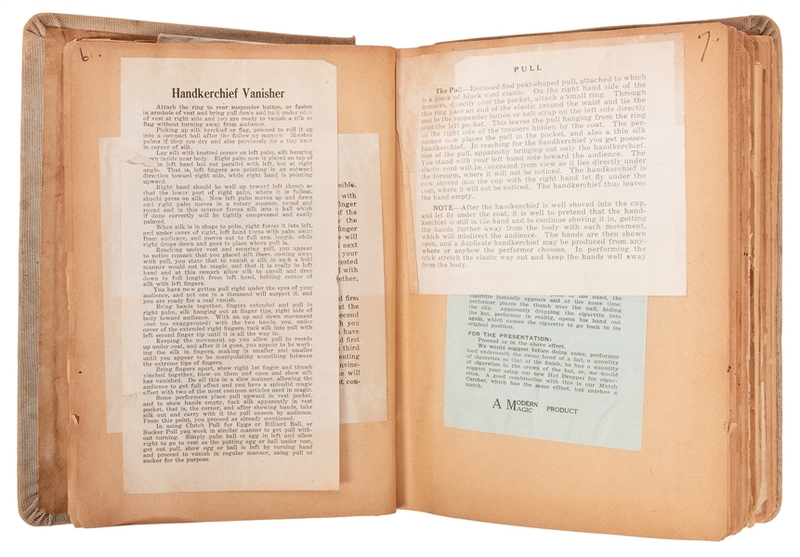 This scrapbook was kept by Roberta and Marion’s father, Robert, and handed down to his daughters.